THIS BOOK AND TRAVELING EXHIBITION highlights the island of Kaho‘olawe, the smallest of the eight principal Hawaiian islands. 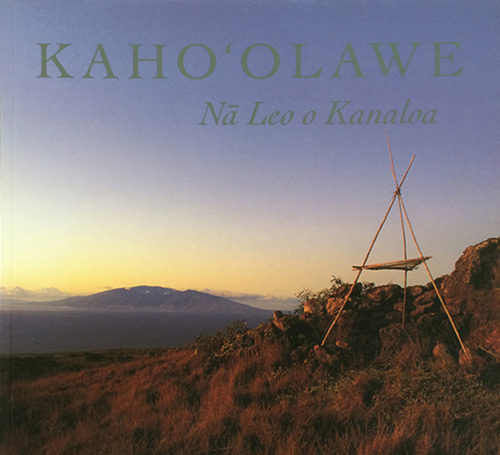 Kaho‘olawe is sacred to the Hawaiian people, containing over 500 intact archaelogocial sites. and was used by the US military from 1941 to 1991 as an ordnance training range. Thousands, if not millions, of shells and other explosives, weighing up to 500 pounds each, were detonated on the island, and in the surrounding waters. Those who have the privilege of spending much time on Kaho‘olawe tend to be deeply affected by the experience. What it is that we find so moving is hard to express. Perhaps it is the island’s physical beauty, its mingled sense of tragedy and hope, or the powerful lingering presence of ‘ka po‘e kahiko’, the people of old.